Citation Information: J Clin Invest. 2002;109(5):565-569. https://doi.org/10.1172/JCI15209. 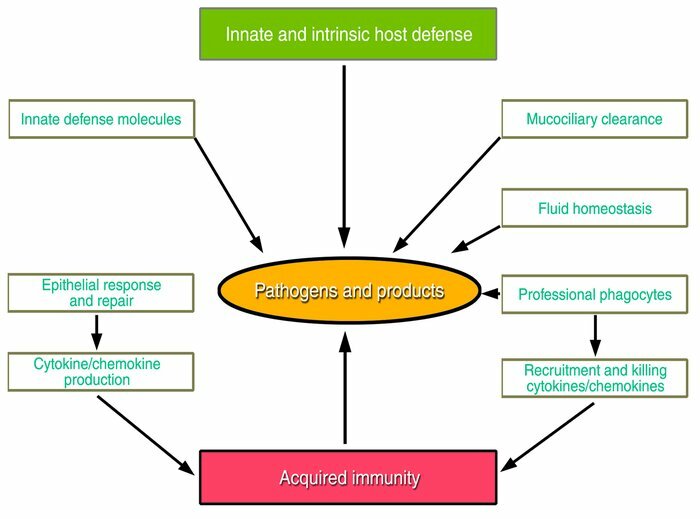 The sterility of the respiratory tract is maintained by the concerted actions of the epithelial barrier, innate defense molecules, and responses of both the epithelium and professional phagocytes that remove pathogens and their products from the lung.